Scientists and conservationists drew from lessons learned from an unsuccessful project to remove invasive rats from Desecheo National Wildlife Refuge, Puerto Rico in 2012 to carry out a successful implementation in 2016. 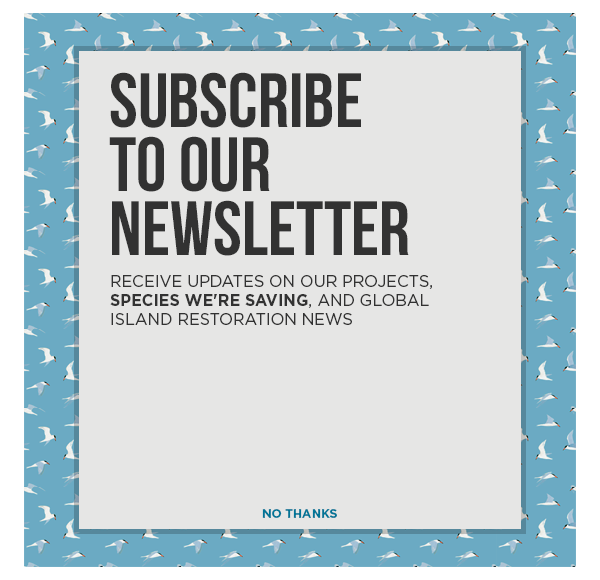 The introduction of invasive mammals to Desecheo National Wildlife Refuge, Puerto Rico led to the loss of regionally significant seabird colonies and impacted plants and endemic reptile species. Following the successful removal of some of these species, a project conducted in 2012 unsuccessfully attempted to remove invasive black rats. A review of the operation suggested that the contributors to the failure were related to an abundance of food resources for the invasive rats resulting from higher than average rainfall. In 2016 a second attempt to remove invasive rats was conducted that incorporated best practice guidelines developed during a workshop that focused on removing invasive rats from tropical islands. Project partners developed a decision-making process to assess the risks that environmental conditions posed to project. The project was implemented a second time during favorable weather conditions and succeeded. We consider the keys to the success of the second attempt to be monitoring of environmental conditions, statistical analysis, consistency throughout the project’s operations, improved access on the island, and responsivity during monitoring.